It is thought the creatures are arriving to take advantage of the growing seal population in the area. 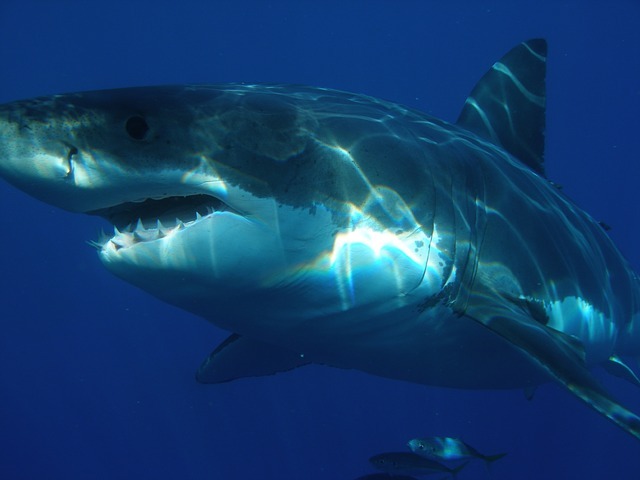 A scarred great white shark has been the first Great White to be spotted in the Cape Cod area. The 13-foot male, who is named Scratchy due to his many scratches thought to be down to seals, became the first sighting of the season which is monitored by Atlantic White Shark Conservancy. Scratchy, originally tagged in 2014 and still carries the same electronic tracker, sent a signal to the receivers to announce he has arrived back for the shark season although slightly earlier than last year when the first sighting was around June 22. It is thought that the sharks are frequenting the area around Monomoy Island, west of Cape Cod because of the growing population of seals. In the last few years, the sharks have returning in their droves after hundreds of years due to the amount of seals now present around Monomoy Island. Despite Cape Cod being an infamous stomping ground for the great white, they have actually been sighted very rarely but this seems to be changing. The animals have been protected under the Marine Mammal Protection Act since 1972 due to excessive hunting but now the species is thriving in this area. Scratchy is one of 80 sharks tagged by marine conservationist, Dr. Greg Skomal and his team between 2009 and 2015. They hope to to better monitor and understand the movements of the elusive creature. Nearly 141 sharks have been identified using video fingerprinting techniques. This involved filming the creatures with a GoPro camera for any distinguishing marks and features of each individual animal. The team hope to continue their research trip twice a week through the fall to build up a database of information about the great whites in the Cape Cod area.